From 14 to 16 November 2017, the IV Global Conference on Child Labour took place in the city of Buenos Aires. The conference was organised by the International Labour Organisation (ILO) and the Government of Argentina, with the main objective to reach agreement amongst the ILO’s constituencies (governments, employers, and workers) on measures to attain the eradication of child labour in all its forms by 2025, as stipulated by Target 8.7 of the UN Sustainable Development Goals (SDGs). As was the case for all the preceding global conferences on child labour, the participation of working children and working children’s movements was a highly debated subject in the run-up to the event. As the most ratified UN convention in the world, encompassing social, economic, political and cultural rights, the CRC constitutes an important part of international customary law. And in legal scholarship, it is widely accepted that international organisations are bound hereby to the same extent as states. In short, in the case of the IV Global Conference on Child Labour, a strong legal argument can be made for the obligation of the Argentinian Government and the ILO to facilitate the participation of children affected by the decisions on their behalf, i.e. working children. In fact, the ILO itself set a clear precedent when children and adolescents representing different working children’s movements from Latin America Africa and Asia – who generally oppose blanket bans on child labour – were invited to participate as official delegates in the two first global conferences on child labour held in Amsterdam and Oslo (both in 1997). Following the III Global Conference on Child Labour in Brasilia in 2013, during which children were not invited to participate, an alliance of three international child rights NGOs launched the Time to Talk campaign, with the aim to amplify the voices of working girls and boys in local, national, and global meetings on child labour, including the IV Global Conference. Working children’s movements also requested to have their members participate in the conference. Yet despite these efforts, the organisers of the conference decided that no one under the age of 18 would be eligible to participate, for security reasons. But when an ILO representative was interviewed by Der Spiegel about the desire of the working children’s movements to participate in the Conference, his response was that allowing them to join would be akin to inviting meat eaters to discuss the advantages of eating meat at a vegetarian party. This showed the ILO’s resistance to the participation of children was also rooted in the belief that children do not want ‘the right thing’, a suspicion that was further confirmed by the fact that there were indeed young children present at the IV Global Conference: the children of official delegates, whose security apparently was not an issue. A few weeks before the IV Global Conference took place, working children’s movements, prominent academics and practitioners in the field of child labour were invited to a three-day international conference organised by Fundacion La Paz and EuropaNATs (two NGOs supporting working children) at the UMSA University in La Paz, Bolivia. The aim of the conference was to discuss public policies and programmes with working children and adolescents. Many of the attending researchers – including the authors of this contribution – are part of the research group ‘Children & Work’ and have argued that policies and programs relating to children’s work should be based on empirical evidence about their concrete effects on children’s well-being and development, as opposed ideologies or international standards. Working children representing different movements from Latin America (Bolivia, Peru, Paraguay, Venezuela and Argentina) and Africa (Senegal and Ivory Coast) did not only attend the conference, but they also actively participated. They were joined by some of their peers from the Indian working children’s movement Bhima Sangha, who joined the conference via Skype, since visa issues prevented them from travelling to Bolivia. The ILO and UNICEF were also invited to send representatives to the conference, but both organisations declined to attend. A neo-Indian shaman led the opening ceremony. He asked working children to come on stage and call upon their ancestors to bless the event. It was the beginning of a multifaceted exploration of childhood and child labour informed by academic research, NGOs projects, working children’s own experiences, and also by more radical discourses (anti-capitalist, Marxist, revolutionary) forwarded by social movements. The children that took part in the panel sessions had a core message for researchers and policymakers, which was that they have ‘the right to work in dignity’ and that they wish to be recognised and protected as workers. Another recurrent point was that school and work need not be mutually exclusive endeavours. For many, work is seen as an important part of their education. One girl representing MANTHOC, a Christian working children’s movement in Peru, shared her perspective on the intersection of Christian values with the ideology of children worker movements: she used an interpretation of the Bible to argue that Jesus was himself working child. Another child from a rural village in Bolivia explained the many ways in which work is related to 'pachamama' (mother earth) and social life for indigenous peoples. The children had a core message, which was that they have ‘the right to work in dignity’ and that they wish to be recognised and protected as workers. 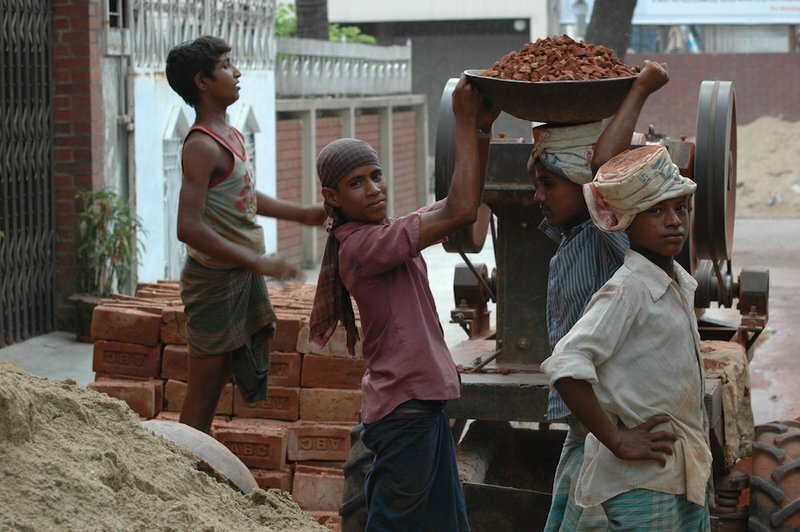 Some of the academics argued that work can benefit children and that the ILO’s child labour policies are mostly protecting the interests of multinational corporations. Others tried to bring nuance to the polarised debate by showing that, until very recently, the ILO’s own child labour policy was primarily aimed at humanising the work of children. But central to many of the panel sessions were discussions about the difficult implementation process of the 2014 Bolivian Code on Children and Adolescents. The law challenges the ILO Convention No. 138, which sets the minimum age to work at 14 years, by allowing the government to grant working permits to children as young as 10 years old, provided that the work is not illegal, dangerous or interfering with the child’s education. The Bolivian working children’s movement UNATSBO was actively involved in the drafting of these provisions – an example that was used throughout the conference to demonstrate children’s capacity to meaningfully participate in law and policymaking. In June 2015, a delegation of three working children representing UNATSBO and MOLACNATS (the Latin American Movement of Working Children and Adolescents) travelled to Geneva to discuss their views on the Bolivian law and their rights as working children with staff members of the ILO Fundamentals and Principles and Rights at Work Branch (FUNDAMENTALS). The ILO staff questioned the legitimacy of the movement’s claim to represent the interests of working children, and the children’s arguments were dismissed by the ILO based on statistics that show a decline in child labour in Latin America. Later that day the ILO’s Committee on the Application of Standards urged the Bolivian government to repeal the law immediately. This was a bitter experience for the working children’s movements and only added to their growing distrust of the ILO, which was voiced on multiple occasions during the La Paz conference. At the end of the conference , the organisers presented a declaration, which was signed only by the working children’s movements and the NGOs supporting them (most academics thought the text was too ideological and antagonistic towards the ILO). The declaration criticises the ILO for being complicit in the “neo-liberal economic system”, for its “anti-child labour eradicating policies” and for not providing the space to listen to working children and adolescents in the IV Global Conference in Buenos Aires. During the latter, children were thus officially uninvited to participate. And though several civil society organisations (CSOs) did receive accreditations, their actual participation in the conference remained relatively marginal. Furthermore, the accreditation process and the CSO online consultation for the final declaration of the IV Global Conference on Child Labour were open only to CSOs who were willing to declare their commitment to the objective of ending of child labour in all its forms by 2025. Not surprisingly, there were no critical voices heard during the conference and children’s agency and participation rights were hardly a point of discussion. Working children were instead mainly depicted as victims that need to be saved and rescued. This discourse was communicated the loudest by special guest Kailash Satyarthi, the 2014 Nobel Peace Prize laureate for his work against child labour. In the first plenary session, he spoke of children he saved from a factory and who had not seen daylight for three years prior to their rescue. He also mentioned meeting children in Brazil who had bruised hands from picking oranges but who had never tasted orange juice. Satyarthi’s plea for the immediate measures against child labour was echoed by a contribution from Pope Francis, who denounced child labour in all its forms. Working children were instead mainly depicted as victims that need to be saved and rescued. The conference agenda was further fuelled by the ILO’s latest global estimates of child labour (152 million children of which 73 million in the worst forms) and Target 8.7 of the SGDs, in which world leaders have agreed to take measures to end child labour in all its forms by 2025. Despite a new global alliance, a fresh declaration and numerous pledges by governments to intensify the fight against child labour, it was mentioned several times that the 2025 objective is not a realistic one, especially given the ILO’s global estimates of the increase in child labour in Africa, the continent where it is most prominent. It is therefore safe to say that the 2025 objective will likely remain wishful thinking, similarly to the goal to eradicate the worst forms of child labour by 2016. Since this was the first time an ILO Global Conference on Child Labour addressed the issue of youth employment, a small number of young adults were invited. These ‘youth ambassadors’ represented the different continents (their selection was based on a call for essays on child labour) and were asked to help draft the conference’s youth declaration. Other young adults were given the opportunity to share their stories more directly. For example, in one of the plenary sessions, a young trade unionist and medical student from Tunisia was asked to give ‘the youth perspective’ on the lack of quality education and the problem of youth unemployment in her country. She responded by criticising the undermining of recent democratic efforts in Tunisia by private interests and the lack of a fair wealth distribution in the capitalistic system. Needless to say, this was one of the more pertinent interventions during a conference that mostly fostered the hollow rhetoric that all child labour must be eradicated and that we all must work together towards this end ‘starting yesterday’. It is safe to say that the 2025 objective will likely remain wishful thinking. The ILO also invited a young adult who is a member of the African Movement of Working Children and Youth (AMWCY) in Benin. During a panel, she was asked to tell her story of how, as a child, she was able to transition from working as a brick maker to attending school. She explained that the AMWCY helps working children get access to reading and spelling classes in the evenings, and that she paid for these classes with the income from her labour. Similar stories were presented during the side-event Children’s Views on Children’s Work, organised by several child rights NGOs. On the last day of the IV Global Conference, while the President of Argentina, Mauricio Macri, was addressing the delegates, members of the local working children’s movement Asamblea Revelde, with the help of MOLACNATs, staged a televised protest against their exclusion from the conference in front of the Argentinian Parliament, during which they read out loud their official letter of complaint to the UN Committee on the Rights of the Child. Throughout the conference, panellists and delegates were urged to ‘think outside the box’ when faced with the prospect of not achieving the 2025 target. Hopefully, the ILO will take this same advice to heart. Working children’s movements, though not representative of the experience of all working children everywhere, have once again shown that they are ready to be consulted if we are ready to take them seriously. Fieldwork for this report was conducted within the framework of the research project ‘Living rights in translation. An interdisciplinary approach of working children's rights’ which is funded by the Specialised Committee Interdisciplinary Research of the Swiss National Science Foundation (SNSF) (Project no. CR11I1_156831).